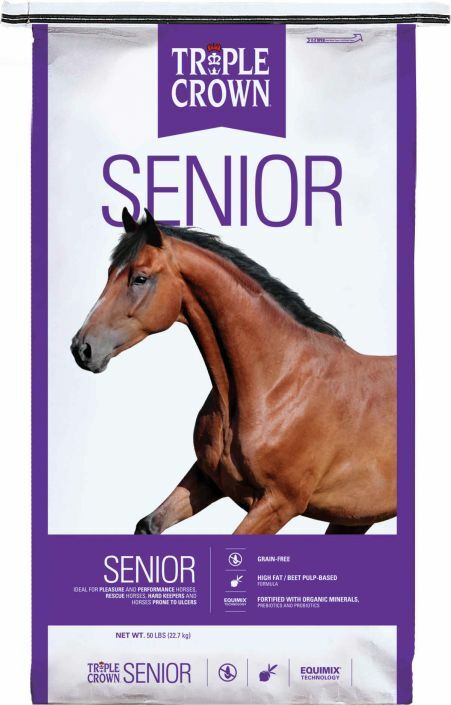 Whether you’re aiming for the prestigious Triple Crown or just trying to raise a happy, healthy horse, it takes a unique combination of genetic potential, superior training, hard work and quality care. Whatever your goal, it all starts with a superior feeding program. Triple Crown Nutrition has developed such a feed line. It’s called, appropriately enough, Triple Crown. Triple Crown uses only the best grains, fiber sources, ingredients and our own unique EquiMix Technology. 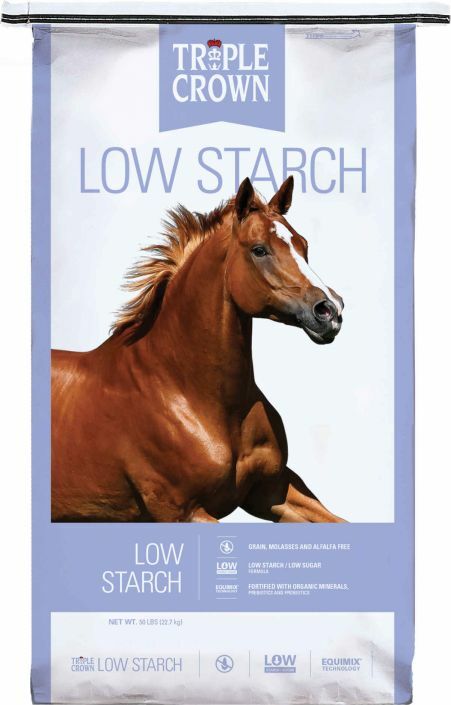 Together, they create a feeding program designed to avoid the complications your horse might typically encounter. 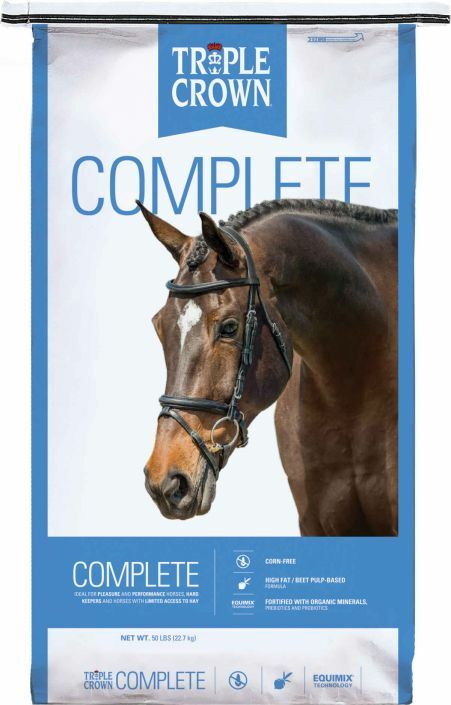 For example, Triple Crown features feeds and supplements that help ensure your horse doesn’t receive excessive grain concentrates, which often lead to colic, laminitis and muscle complications. 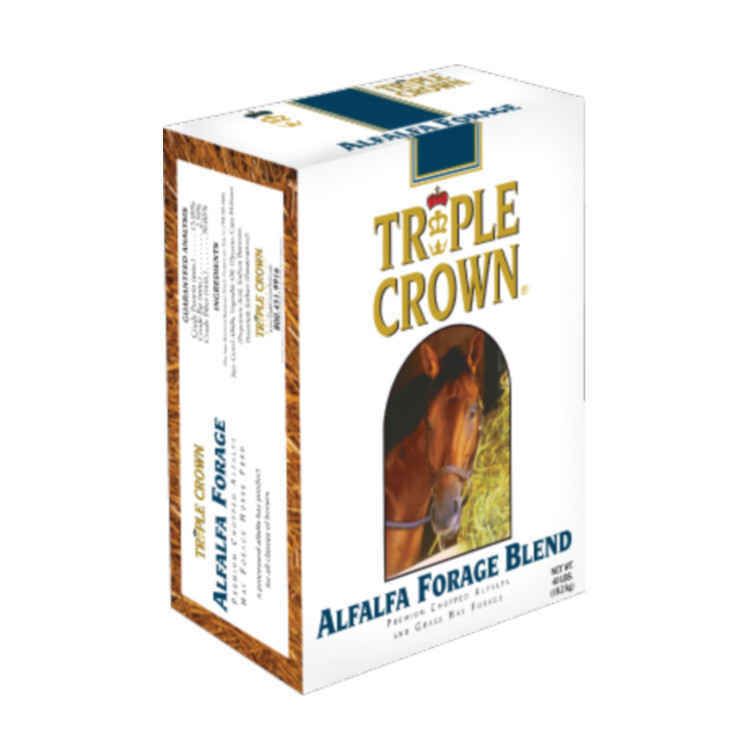 The Triple Crown line features different formulas designed to meet the needs of a variety of horses. 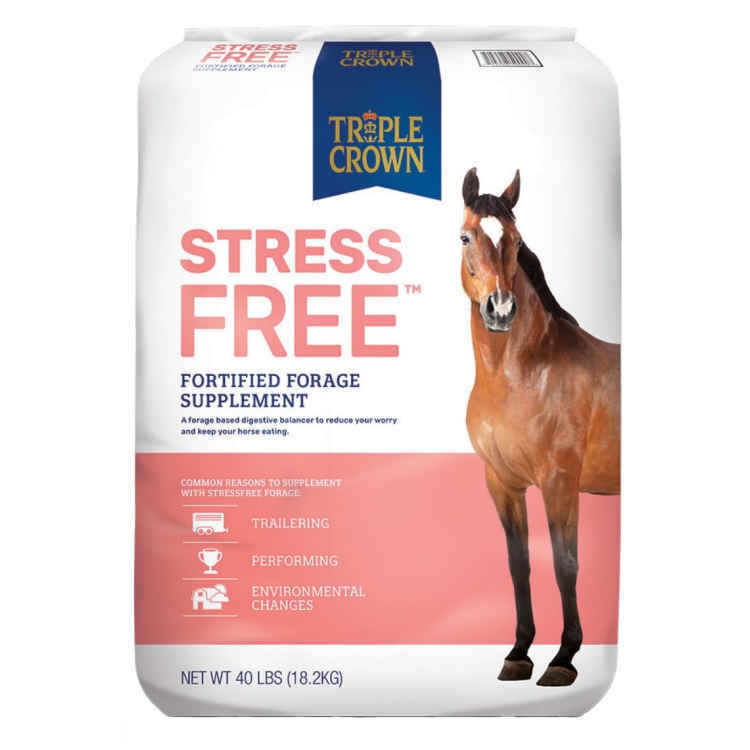 While Triple Crown products may not produce a Triple Crown winner, they will help your horse achieve excellent health and championship performance, even if it’s just in your own back pasture. A GMO and soybean free diet offering consistent, convenient, low protein forage replacement or supplementing. Ideal when excessive soluble carbohydrates are a concern.